My wife graduated from medical school with more than $300,000 in student loans to her name. During her three-year residency, some of that debt sat in deferment, quietly accruing about $20 per day in interest. The larger non-deferred balance grew, albeit more slowly, despite my wife’s dogged income-driven repayments on account of her modest residency salary. Shortly before she graduated from residency, her student debt load peaked somewhere in the mid-$300,000s. Now that she’s established in her career as a primary care physician, my wife’s medical school debt — our debt, since what’s mine is technically hers and vice versa — is shrinking. But it will be years until she’s debt-free, under even the rosiest of scenarios. That rosiest scenario is based on her successful participation in the U.S. Department of Education’s (DOE) Public Service Loan Forgiveness Program, a federal benefit that may offer accelerated forgiveness for federal Direct Loans and certain consolidated student loans held by borrowers employed by government entities and some nonprofit organizations. Could you qualify for the Public Service Loan Forgiveness Program? Here’s a closer look at what it takes, how to determine if it’s suitable for you, and some popular alternatives. The Public Service Loan Forgiveness Program (PSLF) is among the most generous and widely available public student loan forgiveness programs. Proponents envisioned PSLF as an enticement for graduates to pursue careers in public service. After making at least 120 qualifying payments while working full-time for an eligible employer, PSLF borrowers may qualify for forgiveness of the remaining balance of qualifying federal Direct Loans. That’s half as long as most other federal loan forgiveness options, which typically last 20 to 25 years, or 240 to 300 repayments. As is often the case, the devil is in the details. Here’s what you’ll need to know to earn and maintain your eligibility for PSLF. The DOE is the final arbiter of PSLF matters. If you have questions or concerns about your eligibility, repayments, or anything else related to PSLF, check the Federal Student Aid website first, and then call 855-265-4038 with any lingering questions. Borrowers aren’t automatically disqualified from PSLF when they take out a non-eligible loan. Once consolidated into a Direct Consolidated Loan, non-eligible loan balances do qualify for PSLF. However, including a Direct Loan in a Direct Consolidation Loan resets the PSLF payment clock, so do not consolidate any PSLF-eligible loans on which you’ve already made qualifying payments. The DOE defines “full-time employment” as employment that meets a qualifying employer’s definition of full-time or exceeds 30 hours per week, whichever is greater. Workers may combine hours worked at two or more qualifying part-time jobs to reach the 30-hour weekly total. Work time spent on religious activities — for instance, worship service or religious instruction — cannot count toward the full-time total. Teachers whose employers observe long summer breaks qualify as full-time if their employment meets the standard definition at least eight months out of the year or if their employer classifies them as full-time during summer breaks. For borrowers not eligible for PSLF, these plans’ forgiveness terms range from 20 to 25 years, depending on plan type. At the end of the forgiveness term, any remaining balance is zeroed out. All four plans include periods of nonpayment due to economic hardship and payments made under other qualifying plans toward the forgiveness term. Monthly payments on PAYE, REPAYE, and IBR plans generally don’t exceed 10% of your monthly discretionary income. Monthly payments on ICR plans don’t exceed the lesser of 20% of your monthly discretionary income or the monthly payment you’d incur on a 12-year fixed payment plan, adjusted for income. Since monthly payments can vary so widely by loan type, be sure to speak to a PSLF expert and a financial planner or advisor, if you have one, to determine what makes sense for your financial situation. Even if you’ve done everything right up to that point, your loans aren’t automatically forgiven when you cross the 120-payment threshold. You must still apply for PSLF. 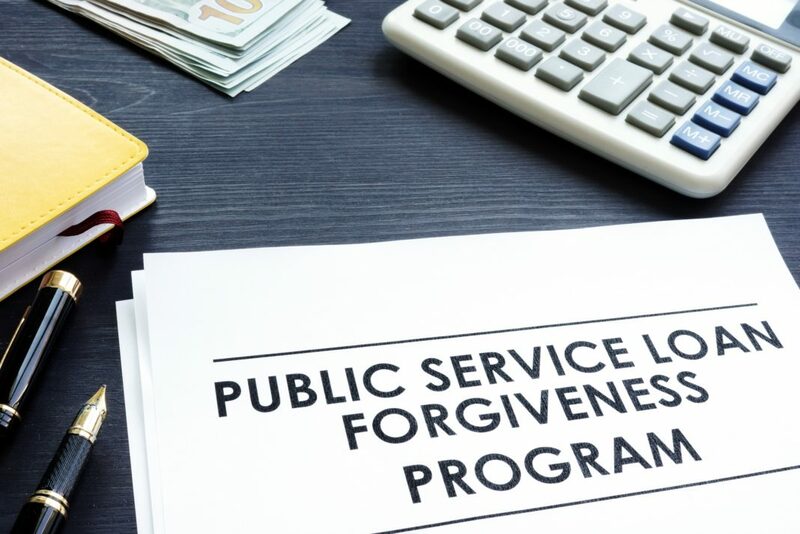 The Public Service Loan Forgiveness Application for Forgiveness asks for information about your employer, its public service activities, your loans, and your qualifying repayments. Your employer must sign off on the application. Even if you’re only beginning your PSLF journey, you should review the application closely as soon as possible, as it contains a host of eligibility details you’ll want to check against your circumstances. The sooner you identify a possible deficiency in your qualification status, the less painful it’ll be to fix. While your application is pending, you must maintain eligible employment and continue making qualifying payments on your loans. If you’re no longer engaged in qualifying employment on the date your application is approved, your loans won’t be forgiven. As the DOE’s periodic PSLF reports make clear, PSLF denials are common. In order to qualify for TEPSLF, you must meet all of the other PSLF qualification requirements. Additionally, your total loan payment for the 12 months before applying for TEPSLF and your most recent payment must be at least equal to an amount you would have paid under one of the qualifying repayment plans. To apply for TEPSLF, you must email [email protected] and ask that the DOE reconsider your PSLF eligibility. Your name must match the name on your PSLF application. You’ll receive an initial response indicating whether you meet the initial screening requirements for PSLF eligibility. If you haven’t submitted a PSLF application yet, for instance, you won’t be considered for TEPSLF until you do. If you’re eligible for TEPSLF consideration, you can expect to receive an official approval or denial response within 60 to 120 days after your initial request. Note that TEPSLF is a temporary, limited opportunity; once all funds allocated for the program have been disbursed, it will end. This is where the rubber meets the road. According to a DOE report, over 70% of the 29,000 PSLF applications processed through June 30, 2018 were denied because borrowers lacked one or more eligibility criteria: eligible loan types, 120 qualifying payments, or qualifying employment. Another 28% were denied due to paperwork errors that, at least in theory, borrowers could fix without changing jobs or making additional qualifying payments. I can’t imagine spending 10 years paying down student debt on the expectation that the balance would be forgiven, only to learn that none of the payments I’d made actually qualified toward forgiveness. The outside chance that we’re missing something is enough to keep my wife and me up at night. Make Sure Your Loan Information Transfers From Any Third-Party Servicer. If you’ve already made qualifying student loan payments to a loan servicer other than FedLoan Servicing, you’ll need to submit an Employment Certification Form to transfer those loans to FedLoan Servicing. Once you’ve done this, confirm that your entire federal student loan portfolio resides under FedLoan Servicing. Re-Certify Your Employment Annually. Re-certify PSLF-qualifying employment every 12 months using the Employment Certification Form. This is an annoying but necessary step; you’ll have to capture your boss or human resource contact’s attention for as long as it takes them to review the form. But it’s essential to ensuring your qualifying payments actually count toward the 120-payment total. Review Your Qualifying Payment Count Regularly. Soon after you re-certify your employment for the year, check your FedLoan Servicing account to confirm that the previous year’s payments count toward your total. Qualification is retroactive; if you make 12 payments from January through December, then re-certify your employment after the new year, the previous year’s payments won’t count until the re-certification is confirmed. 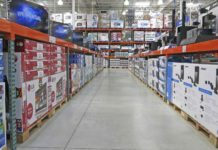 Is PSLF worth the effort? It depends. Given the wide variety of employers, career paths, and defined roles that fall under the category of “public service,” PSLF is a personal decision best made in consultation with your college or grad school career advisors, financial planners or advisors, and family. Unfortunately, PSLF’s 10-year maturation period requires early action. It’s in your best interest to decide as soon as possible whether you can commit to a decade-plus of public service employment. Use the below scenarios as a guide, but remember that they’re only a guide. Under these scenarios, pursuing PSLF might make financial sense. Some of them — for instance, determining income tax filing status with your spouse — may arise after your initial decision to pursue PSLF. Your Field Has an Abundance of Public Service Employers. If going into a qualifying public service profession or working for a nonprofit or public organization isn’t much of a sacrifice for someone in your line of work — or is all but expected, as is the case for educators — then your PSLF eligibility might happen as a matter of course. There’s Minimal Pay Differential Between Qualifying and Non-Qualifying Roles or Career Paths. In some fields, there’s not much of a “public service discount”; pay is similar in the public, nonprofit, and for-profit sectors. That’s the case in many medical professions; many nonprofit health systems pay doctors and nurses about as well as for-profit employers do. You Believe in the Public Service Mission. If maximizing your take-home pay is secondary to giving back — whatever that means to you — then you’re likely to pursue a career that qualifies you for PSLF. Even if you take a significant pay cut to work in public service, the loan balance forgiven under PSLF may exceed your lost earnings over the decade-plus needed to qualify, particularly in more modestly compensated fields. You Have Enormous Amounts of Student Loan Debt. The higher your debt, the likelier PSLF is to offer a net financial benefit, even if you take a significant pay cut to work in a public service profession. This is a common scenario for professional school graduates like my wife; the nominal pay cut she took to work for a nonprofit employer is dwarfed by the extra balance she’ll hopefully have forgiven under PSLF. Even our most conservative estimate puts that balance — the difference between her total forgiven balance under PSLF and what she’d have forgiven under the standard 20-year timeline — at well over $100,000. You’re Single or Married Filing Separately. If you’re the head of a one-income household or electing “married filing separately” status on your federal tax return, you’re less likely to pay off your student loans within 10 years on an income-driven repayment plan — that is, unless your student loan debt is modest or you’re well-compensated for your work. Bear in mind that “married filing separately” status carries significant financial drawbacks, including ineligibility for the child and dependent care tax credit and de facto ineligibility for the traditional IRA deduction, so it’s appropriate only for borrowers who can reduce their monthly payments by more than the total additional tax liability incurred by electing “married filing separately” status. Under these scenarios, pursuing PSLF may be detrimental to your finances or career goals. You Expect to Be Able to Pay Off Your Student Loans Within 10 Years. If your student loan debt is modest or your income-driven repayment plan has you paying off your entire student loan balance with fewer than 120 payments, PSLF is unlikely to provide any additional benefit. There’s a Substantial Pay Differential Between Qualifying and Non-Qualifying Roles or Career Paths. If you expect your public service pay cut to exceed the student loan balance forgiven under PSLF, the right financial decision is to take the higher-paying non-public service job. That doesn’t account for any non-financial benefits of public service employment, which may salve the sting of lower pay. Few Public Service Roles Exist in Your Field. Though the DOE defines “public service” broadly, its definition excludes countless employers and fields. If you expect the pursuit of public service employment to hamper your career progression or necessitate a career change, PSLF might not be worth the opportunity cost. You’re Eligible for More Generous Loan Forgiveness Programs. Believe it or not, PSLF isn’t the most generous loan forgiveness program out there. Some programs (outlined below) provide partial or total loan forgiveness with fewer than 120 payments required. If you qualify for one or more such programs, your PSLF eligibility may be moot. PSLF isn’t the only student loan forgiveness game in town. If you work for a government or nonprofit employer, or in certain “helping” or public service professions, there’s a good chance you qualify for at least one student loan forgiveness program. What follows is a sampling of student loan forgiveness opportunities you can use instead of, or in conjunction with, PSLF. The U.S. federal government offers a slew of student loan forgiveness programs. The broadest program reserved for employees of the federal government is the Federal Employee Student Loan Repayment Program. Under this program, federal agencies may offer student loan balance repayments as a benefit of employment. Repayments are limited to $10,000 per year and $60,000 lifetime per employee, and qualifying employees must commit to at least three years of service with the paying agency. Those appointed under Schedule C are not eligible for this benefit. Other eligibility requirements may apply, so check with the DOE before assuming your employment qualifies. Program participants must commit to working in eligible roles for at least two consecutive years, with an option to extend to a third year. 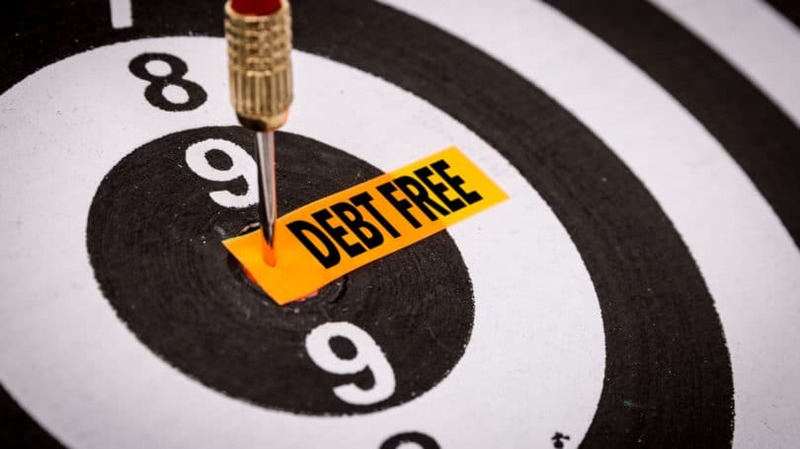 The program repays 60% of participants’ debt during the first two years and 25% during the optional third year, for a total potential repayment of 85% of eligible debt. The federal government offers several loan forgiveness and repayment programs for attorneys working in the public sector. One of the most popular is the U.S. Department of Justice’s (DOJ) Attorney Student Loan Repayment Program, which provides up to $6,000 in student loan repayments per year to borrowers who commit to at least three years of service with the DOJ. The application process is competitive; not all attorneys who apply are selected, and only those with at least $10,000 in eligible loan debt are considered. At the end of the three-year service commitment, borrowers may reapply for another three-year commitment. The program director may waive the three-year commitment requirement for subsequent terms at their discretion. Various branches of the U.S. Armed Forces offer loan forgiveness and repayment programs to qualifying enlistees. In some cases, these benefits apply only to service members in certain fields. For example, active-duty Army personnel in eligible medical fields qualify for up to $120,000 in student loan forgiveness. Other programs are more broadly applicable. The Navy Student Loan Repayment Program, for instance, provides up to $65,000 in student loan repayments to qualifying active-duty service members, regardless of profession. Public Service Loan Forgiveness is an all-or-nothing proposition, unfortunately. Either you make 120 qualifying payments and remain in public service employment until your loans are officially forgiven, or you don’t. PSLF is not an either-or proposition, however. Nowhere is it written that PSLF must be your exclusive loan forgiveness vehicle. You can, and probably should, look for other opportunities to forgive some or all of your outstanding student debt. For example, my wife recently applied to the National Health Service Corps (NHSC) Loan Repayment Program, which — if she meets the program requirements — will pay down a decent share of her remaining loan balance. She sees the NHSC as a modest but meaningful hedge against the uncertainty of PSLF. It doesn’t hurt to check out all of your options. Your budget deserves as much help as it can get. Do you qualify for the Public Service Loan Forgiveness Program?